How To Be A Divine Presence In Everyday Life is the flagship self-help book by author, visionary, and healing energy consultant Joe Hurley. It represents the core of his over 30 years of personal growth, multidimensional study, in-depth personal healing, and divine transformational experience. On the surface this book is simple: it is about being present, facing what is, and being divine wisdom, love, and light in the face of what is. This book is also courageous: it is about being present to what really hurts with grace and compassion, and then facing the primal instinct to fight what is, run from what is, and hide from what is. This book is also complex: it is about transcending the primal consciousness instinctive reaction, opening to the divine higher self and higher consciousness, and becoming a totally new multidimensionally aware being. In this book you will discover that there is help for you on all levels. You can learn from those that are hurting you. You can step into your wholeness and become truly self-confident. You can understand about veils, see how the veil systems create the limited perceptions of reality, and learn how you can transcend these veils systems and ascend beyond the perceptions that have been limiting you. You can talk to your symptoms, open to the messages being communicated between your body, emotions, mind, and spirit, and heal on many levels. You can individuate from those around you on all levels and be your true unique self within any relationship, group dynamic, or system. 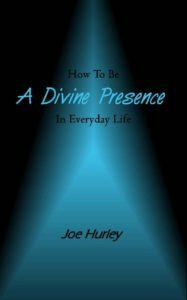 How To Be A Divine Presence In Everyday Life is truly an inspirational and informative guide to being yourself – your real, authentic, whole self – in your everyday life.